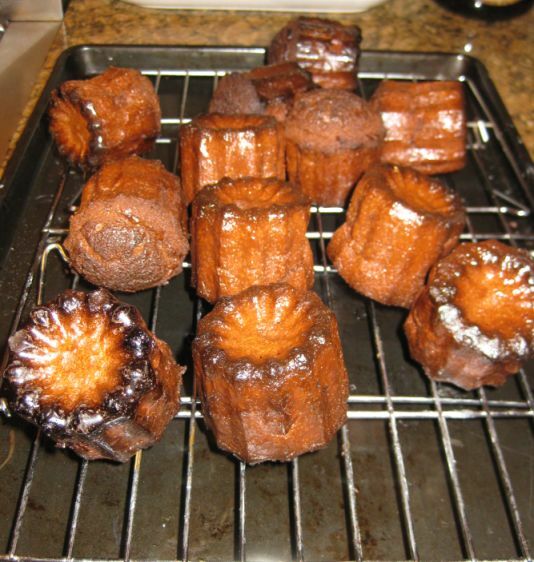 I love Cannelés but you can not find them in the Bay Area. I have never seen a pasty shop selling them so when I am craving for them I simply have to bake them. 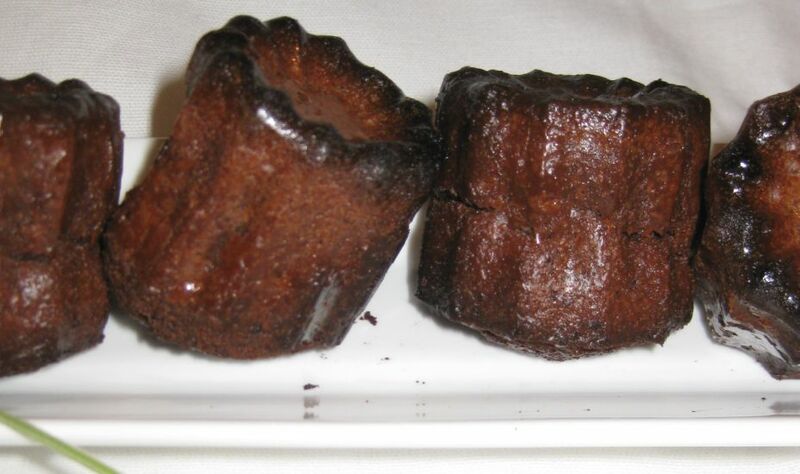 Cannelés are a specialty of southwest France! Their thick exterior crust is very crisp and dark, while their inside is a soft, chewy, and tender custard center. Cannelés are definitely best on the first day. They lose their crispy exterior after a day or two, but the flavor is still great. You can see here that the exterior of the Cannelés are caramelized and crispy and that's is what so interesting about his dessert. 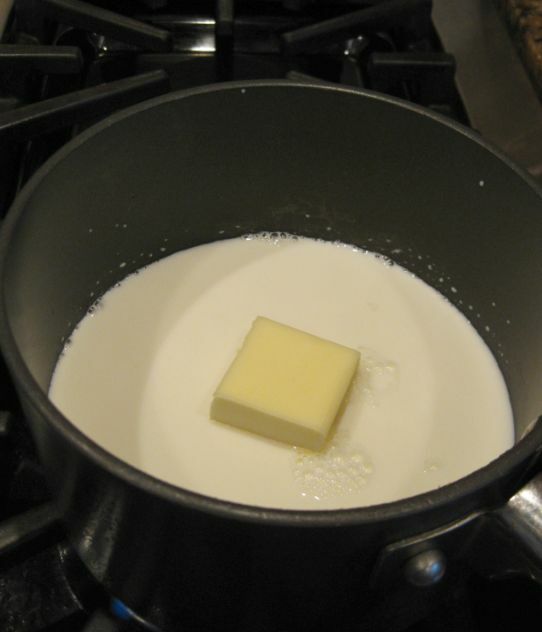 Put the milk and butter in a medium saucepan over medium-high heat. 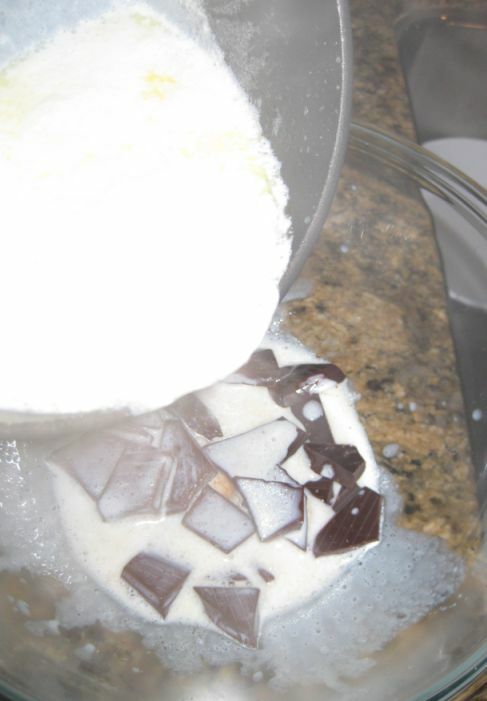 Scald the mixture, removing the pan from the heat when small bubbles form at the edges. 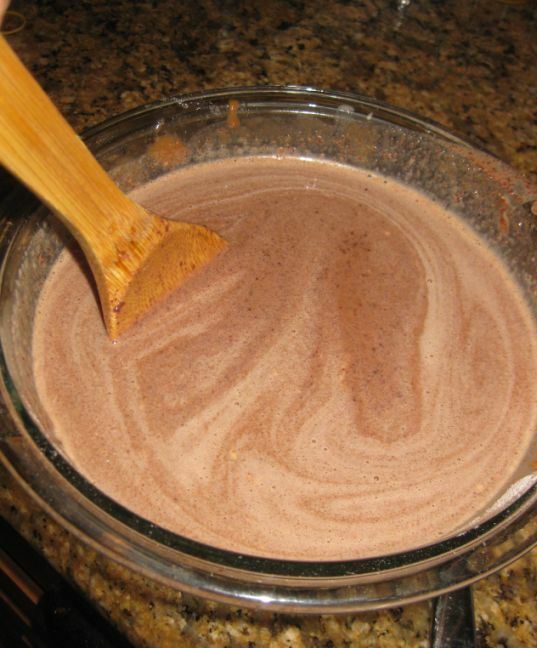 Whisk/Stir until the chocolate is melted. 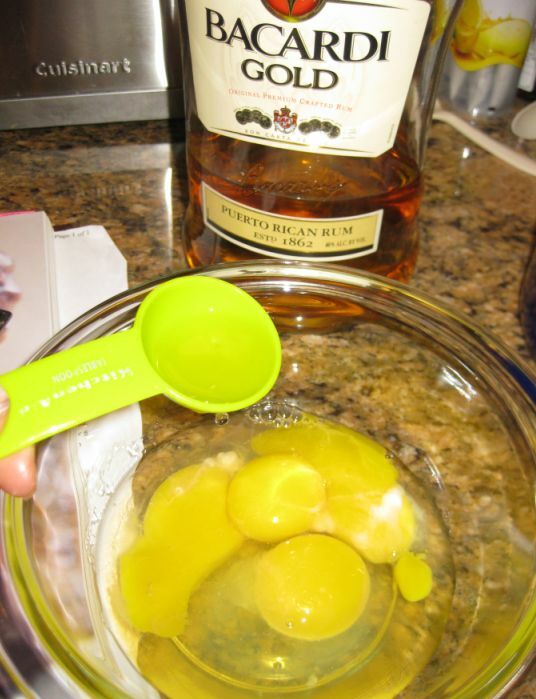 Combine the egg, egg yolks, and rum and whisk until the mixture is smooth. 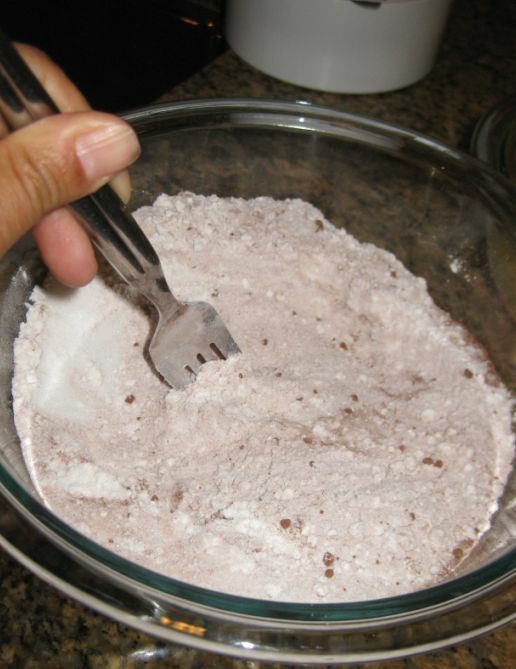 Sift together the flour, cocoa powder, sugar, and salt over a medium bowl. 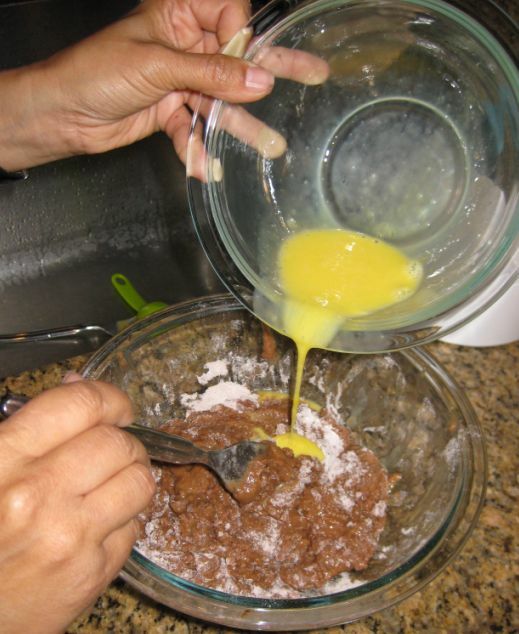 Slowly whisk the egg mixture into the dry ingredients. If you go too fast, lumps will form. 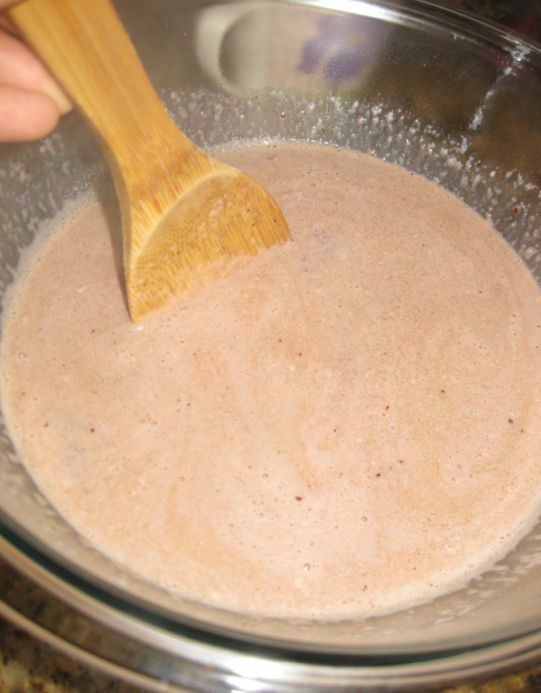 Slowly whisk in the chocolate mixture, whisking until the mixture is smooth. 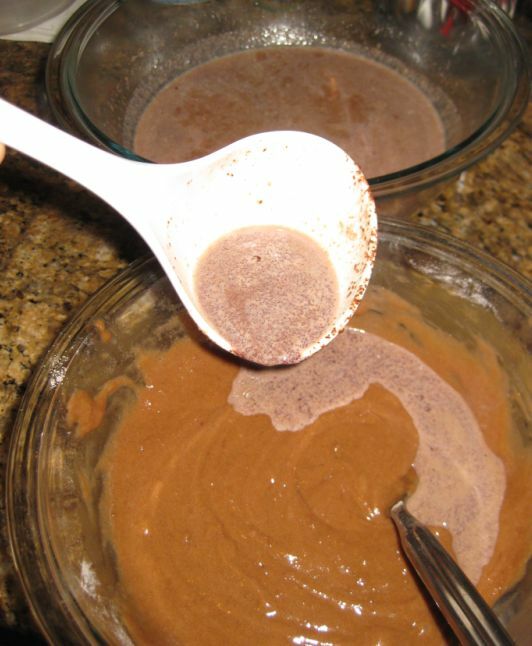 Strain through a fine-mesh sieve into a bowl, cover, and refrigerate overnight or for up to 4 days. 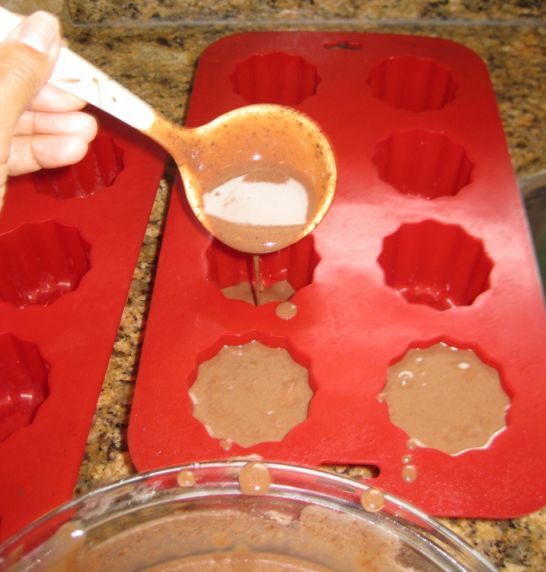 the next day, take the batter out of the refrigerator. 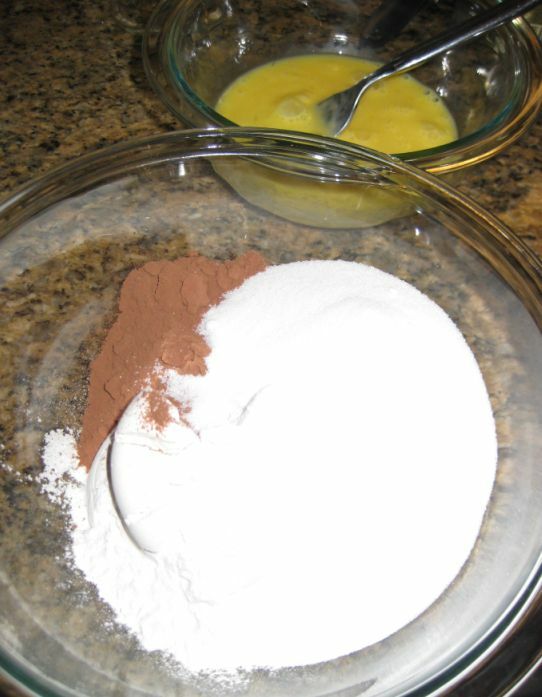 Stir the batter, and transfer to a large measuring cup or to a pitcher if desired, which will make it easier to pour the batter into the molds or use a ladle like I do. This recipe is for 12 cannelés. 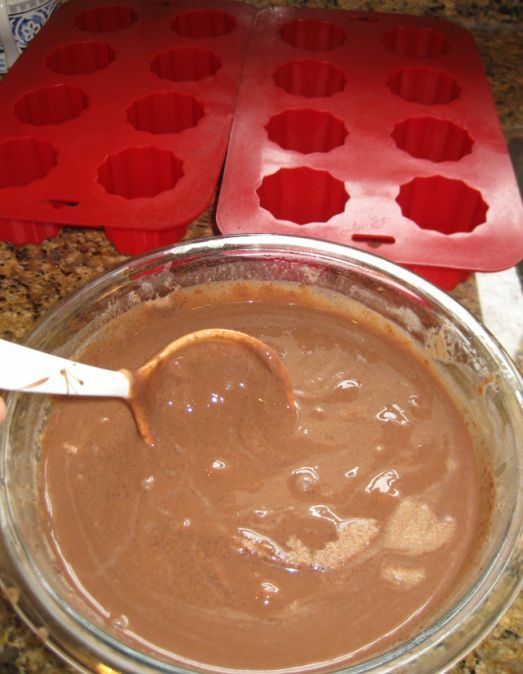 Preheat the oven to 400 Degrees F.
Fill the molds almost to the top, and let the batter rest in them for 30 minutes. 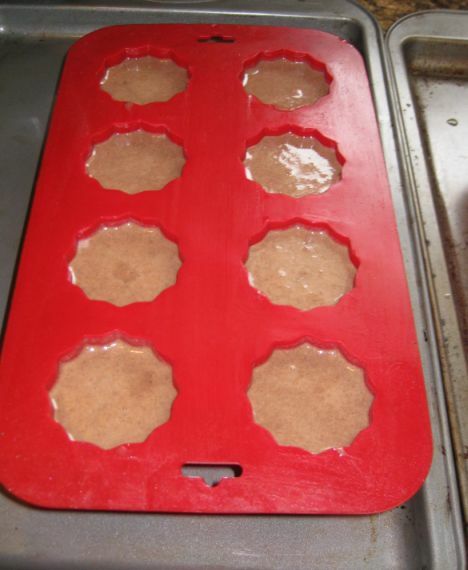 This allows the flour to settle at the bottom, so the cannelés won't rise during baking. 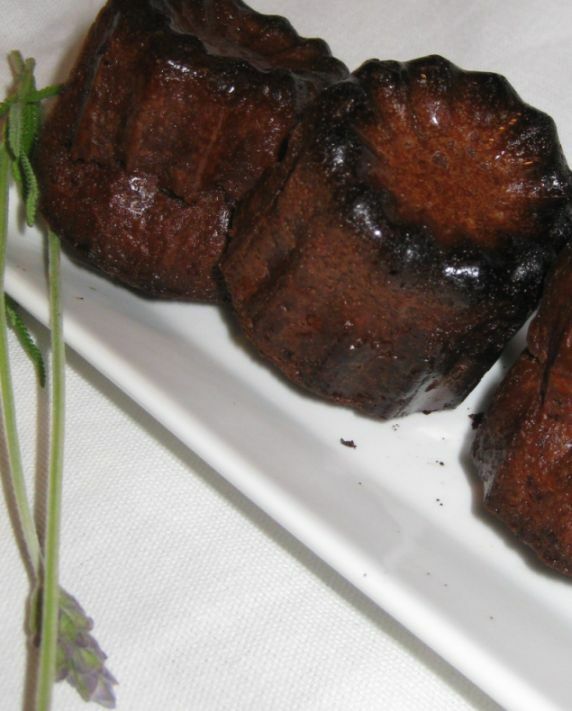 Place a rack in the center of the oven and bake the cannelés. 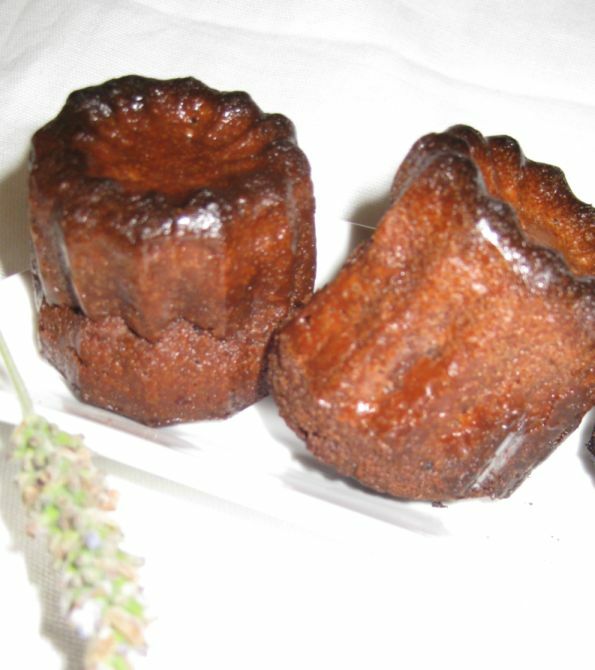 Bake for 60 to 75 minutes, until the exterior of the cannelés are crisp and set and springs back when you lightly touch the top. 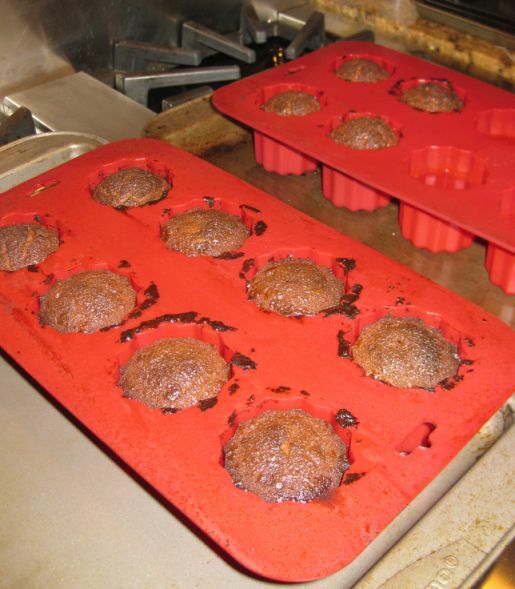 Remove the molds from the oven, and turn them over on a wire cooling rack.